OnePlus’s next flagship smartphone and successor to the OnePlus 3T was confirmed to be in the works by CEO Pete Lau earlier this week. Now, the company has confirmed that the OnePlus 5 will be unveiled this summer, according to a new report. The OnePlus 5, which in the past few days has seen a few rumors doing the roads, was confirmed to arrive this summer by The Verge. It was assumed earlier that the company skipped over naming the upcoming flagship OnePlus 4 as the number four is considered unlucky in China. However, the company confirmed to The Verge that the naming didn’t factor in that belief, but was rather influenced by the number five jersey of former NBA player Robert Horry, who is liked by a number of OnePlus employees. A few days back a full listing of the OnePlus 5 has been spotted on a mobile retail website called OppoMart, which shows the phone will have a vertical dual rear camera setup. The price of the phone is $449, according to OppoMart. In terms of specifications, OppoMart’s OnePlus 5 listing claims it will have a 5.5-inch QHD display which is the 2K resolution. The site had previously made the same claim with OnePlus 2, and that didn’t happen. OnePlus has not bumped up the display resolution from Full HD to 2K. Plus there’s not enough evidence the company will change the resolution this time around. It also adds the OnePlus 5 will run Qualcomm Snapdragon 835 “quad-core processor”. While the 835 is, a given on the OnePlus 5, this is an octa-core processor. The site claims OnePlus 5 will have a 12MP dual rear camera setup, again this is not exactly news. Another problem with the listing is the image looks similar to the one that was leaked earlier. However, the listing image doesn’t have the logo of IndiaToday, which had put out the image first. 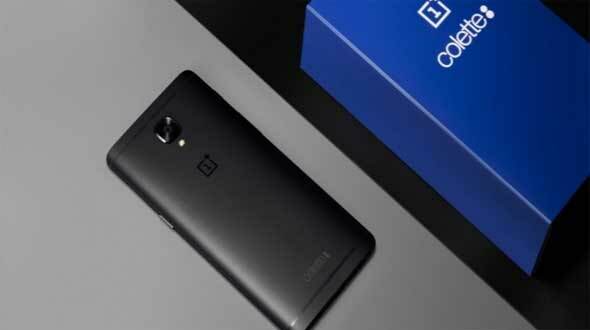 While past rumors have suggested a 23-megapixel rear camera, recent rumors now claim that the dual rear camera on the OnePlus 5 will feature a pair of 12-megapixel sensors (standard RGB + monochrome). The latest retail listing also pegged the front camera at 8-megapixel, which is surprising considering that the OnePlus 3T offered a 16-megapixel camera. Separately, previous reports also claim that the OnePlus 5 will sport a dual-edge curved display, hardware navigation keys, and slimmer bezels than its predecessor. Thinner bezels could also push the fingerprint sensor to the back, although Kumamoto's Weibo post suggests that it will remain on the front.